E is for exciting! 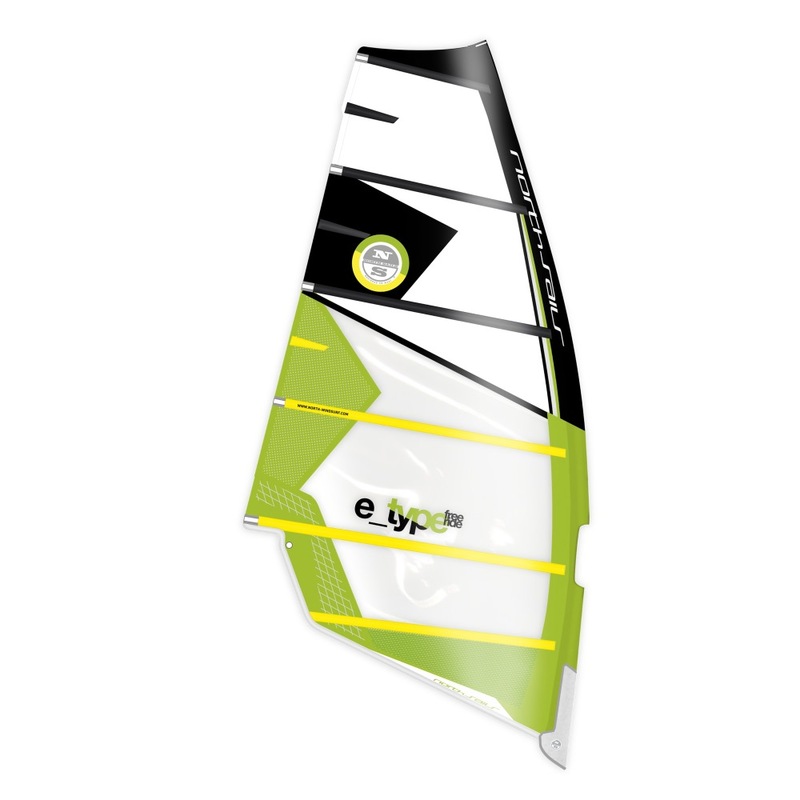 The North Sails E_TYPE is exactly the type of sail to help windsurfing regain its real fascination. 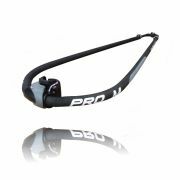 Rigs without a sweat, takes off and gets going without pumping. 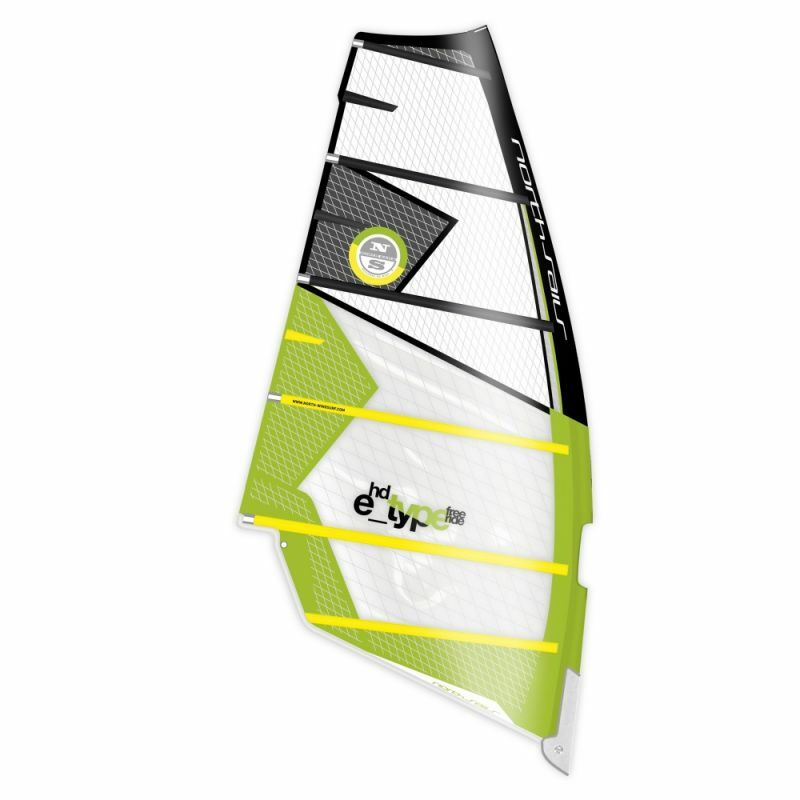 This sail boasts the perfect power and acceleration capabilities of our WARP combined with the handling of a NoCam windsurf sail. Windsurfing has never been so relaxed and exciting at the same time! 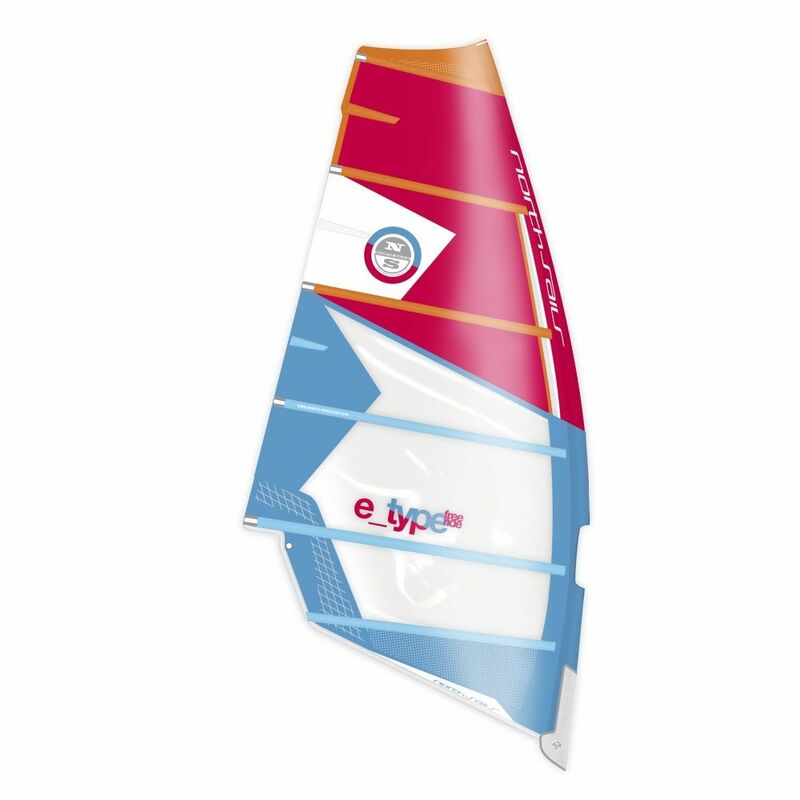 The extremely versatile North E_TYPE combines handling and rigging advantages of a NoCam sail with a very lively power delivery and top speed. This sail really wants to get going quickly and also maximizes the enjoyment of maneuvers. We’ve made this possible through implementing the reduced aspect ratio from the WARP and the increased profile in the upper luff panel. The new E_TYPE performs not only at peak performance but also exceptionally well during acceleration and planing. 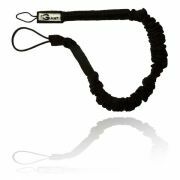 This is thanks to the additional profile in the upper luff panel and the TT.TOP with active twist. Thanks to the CUTAWAY.CLEW this sail doesn’t require an unnecessarily long boom! With the draft located well forward this facilitates rig control and contributes significantly to the unusually high draft stability of this NoCam sail. As well as the extra stiff tube battens (four in 6.2 and greater). Through the PROGRESSIVE.BATTEN.CONFIGURATION all E_TYPE sails have a size and range-specific batten amount. Sizes 4.0 to 5.8 come with 5 battens, up to 6.6 come with 6 and 7.3 and up feature 7 battens.